Are you in the Holiday spirit? We sure are here in #BurlON. With the Santa Claus Parade, Festival of Lights, and many more events there’s plenty of fun things to see and do in Burlington this coming week. 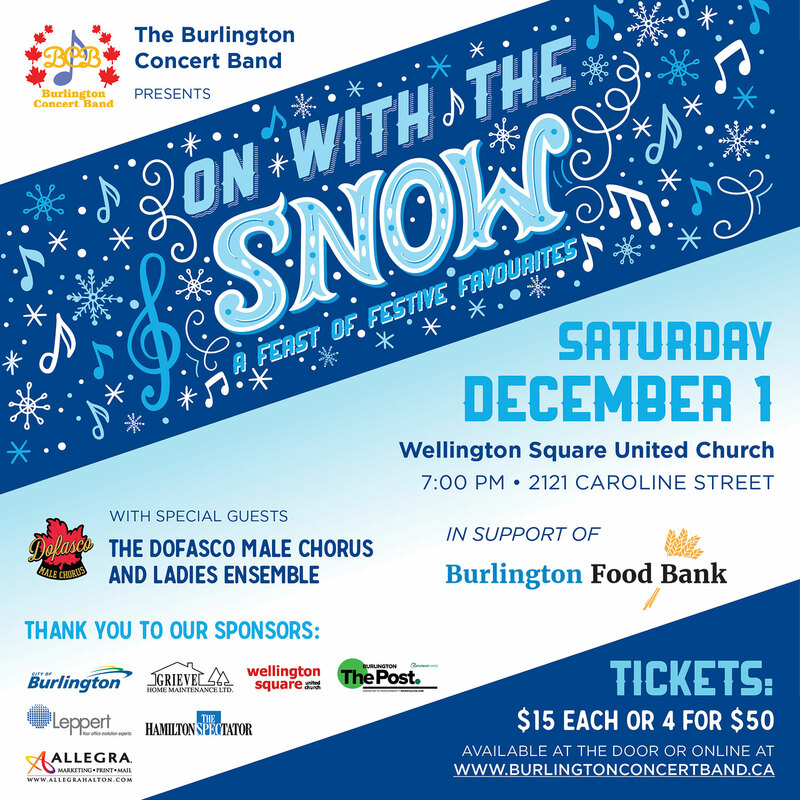 Santa Claus is coming to Burlington! Sunday, December 2 at 2 pm is Burlington’s annual Santa Claus Parade. This is always a highlight of the holiday season in here in #BurlON, and a perfect way to kick off the month of December. Have a day of fun filled with all of the colourful floats, live entertainment, mascots, and Santa Claus himself. Stop into the Burlington Performing Arts Centre for some post-parade hot chocolate. Check out the parade route online, grab your chairs and blankets, and prepare for a day of Christmas fun! Taste of Burlington returns this winter from February 18 – March 10 2019. To launch the prix-fixe dining program there is an event January 29 at the Burlington Performing Arts Centre with sample beverages and interactive food stations from Taste of Burlington participating restaurants. Tickets go on sale November 29, so hurry and get yours before they’re gone! Join us downtown for the annual Candlelit Stroll kicking off the Festival of Lights on November 30 at 6 pm. Come down to Civic Square at City Hall to enjoy festive burgers from the Works Gourmet Burger Bistro, free hot chocolate from Coffee Culture Café & Eatery, and visits with Santa. Here you can pick up your complimentary candle and route map, and drop off donations to the CHML Tree of Hope for local children’s charities. The stroll through the downtown begins at 7 pm with musical stops and ends in Spencer Smith Park at the Festival of Lights. Check out our blog for more information on the Festival of Lights. The Art Gallery of Burlington is inviting you to #CurateYourNight with four opening night events for five different unique exhibitions. Join them for a night of wine tasting, food stations, shopping, and exploring all the gallery has to offer. Also included is a Symphonic Recital by Tom Wilson and Orchestra. First exhibits opening are Dancing on the Grave and Beautiful Scars: Mohawk Warriors, Hunters, and Chiefs on November 30. Visit us in the Visitor Information Centre at 414 Locust Street to pick up your FREE ticket, or download yours online. We’re really feeling the holiday cheer here in #BurlON with plenty of exciting events for all ages. Saturday December 1 Santa Arrives at Mapleview Mall. Stop by to tell Santa what you want this Christmas and receive a free photo. Also on December 1 is the annual Christmas on the Rails at Halton County Radial Railway. Take a ride on the rails through the snow covered forest while listening to Christmas carols, and a visit from Santa! Until December 20 the lobby of the Burlington Performing Arts centre will be decorated with a festive display of Christmas trees! Every tree is sponsored by a local business or organization and visitors can buy raffle tickets for the chance to take one of these trees home. Winners will be drawn at the Andy Kim Christmas Show on December 20. Check out the tree sponsored by Tourism Burlington which is celebrates 10 years of Great Taste – A Taste of Burlington. There are also lots of things happening at the Royal Botanical Gardens, some requiring preregistration. Check out our Holiday blog for more ideas on what to do in #BurlON this holiday season. Springridge Farm is inviting you to get into the holiday spirit with their annual weekend Christmas Activities. Paint a glass ornament, decorate a freshly baked gingerbread cookie, and visit Santa throughout the barn. Also, you can pick up a Fresh Fraser Fir Christmas tree. Call ahead to place an order for Christmas treats like cookies, fruit pies, and tarts. Looking for some indoor Christmas cheer? Catch a show at the Burlington Performing Arts Centre. On Sunday the 2 see the popular John McDermott Christmas with Dala and on Wednesday Dec 5 is A Very Electric Christmas. This is the last weekend to catch children’s favourite “Rumpelstiltskin” at Theatre Burlington, a perfect night out for the family close to home.